Chrichton's World: Review Arrival (2016): The kind of science fiction I enjoy! Review Arrival (2016): The kind of science fiction I enjoy! Arrival has some themes featured that are thought provoking without forcing you how to think about them. It leaves things subtle and open enough for you to give your own interpretation of it. Although at the same time it does have a clear message. For one thing it says to keep an open mind people. Just so you know it's not that hard to figure out things. Everything gets explained enough. In one instance it even downright tells you of what is going on. All you have to do is pay attention. Meaning you have to listen and read with some thought. Just slightly mind you. And apparently this is hard for some. And by no means is this boring. From start to finish this film remains compelling and even manages to move without over dramatizing events. One of the elements I liked the most is how the aliens were approached. Obviously there is a huge communication barrier and is not magically resolved like in most sci fi flicks. We are shown how they are trying to communicate with each other methodically and scientifically. It makes sense to me. At the same time I understand that you can't always allow yourself to be fully trusting since these aliens clearly are more advanced and can do the impossible. Although in the film it's the humans amongst themselves who start disagreeing and becoming skeptical because of these trust issues. In a way the solution is so simple and yet probably the hardest to achieve since it requires us humans to let go of fear and paranoia. Arrival is no Independence Day or Star Wars. It's more like the old school Star Trek before they ruined it with the reboots. We are presented a what if scenario where we follow the main character who has a large role to play since she is one of the few who tries to keep an open mind about everything. It is immensely fascinating to see how events unfold and how they play out. So what if it is low on action and spectacle? It gets you where it matters the most. The heart and mind. The way I like it. It's not that I can't enjoy the more spectacle based films. I often do. Still sometimes it's very good to have more going on beneath the surface. And in this case you don't have to dig deep. The acting is good. Amy Adams and Jeremy Renner are as always dependable. Were they impressive enough to stand out? Not really. But that has to do more with the nature of this film than their work and performance. 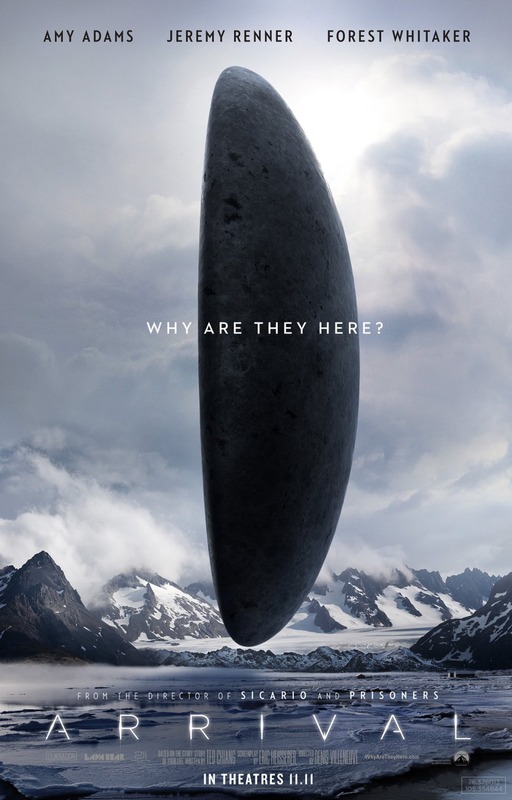 Arrival is more about the message than the characters although more than enough issues are thrown in to discuss about if you choose to do so. In my opinion a movie that is a definite must watch. Especially if you are nuts about science fiction. It's far superior to Interstellar to give you an idea where I stand. So do give this a shot, you won't regret it.